If there’s one thing that I’ve learned from this whole year of posting weekly inspirations, it’s that I love to photograph the everyday, ordinary moments in life. 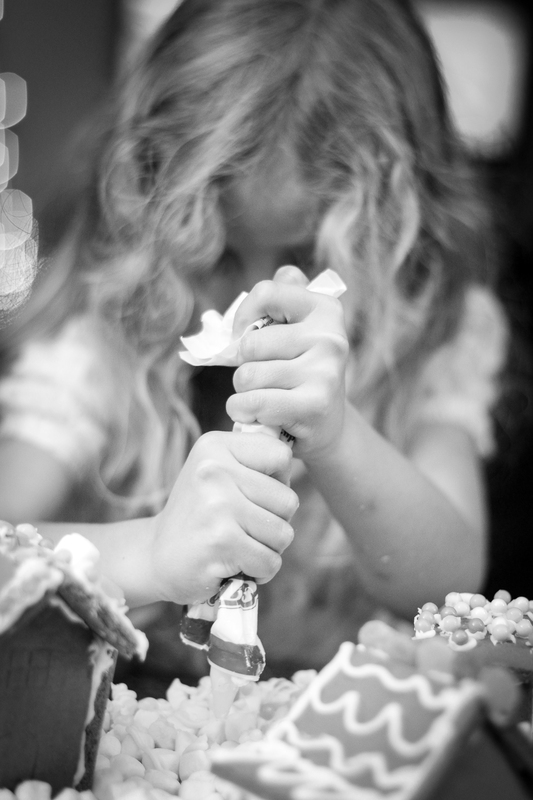 Not facing the camera with a full smile, but instead concentrating on squeezing hard to get the last few drops of icing from the tube, this picture of my niece, for me, perfectly represents decorating for the penultimate leg of this project. Taken with my Canon DSLR and 50mm 1.4 lens, settings at ISO 1250, f/1.8, and shutter speed 1/125. I converted to black and white in Lightroom 4, and adjusted the temperature, tint, exposure, and highlights, before adding a post-crop vignette to highlight the hands in the image. 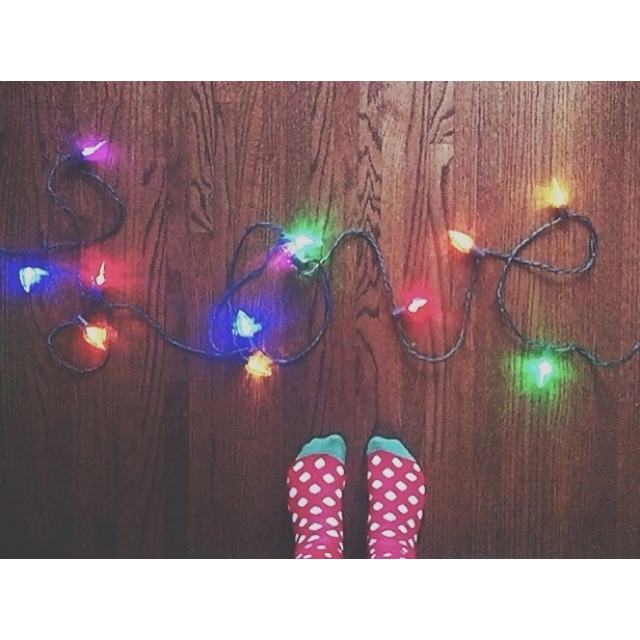 And so this is Christmas… Bright lights, fun socks and LOVE! Shot this photo with my iphone 4 and the edit was done in the VSCO app. I faded the photo slightly, decreased the contrast, and increased both the the fill and grain. I then used the squareready app to crop for an instagram load. I was thrilled to have this featured on instagram with #jj_fromwhereistand. I have been following your blog for awhile, and with the new year coming, and me wanting to improve my photography skills, I am thinking about making a challenge like you have here. Did you make your own themes for each week, or have you found them online somewhere? Will you be doing this challenge again next year? Hi – Thanks for following the blog! I think that we have probably come to the end of our challenge taking… it’s been a lot of fun along the way. We came up with the photo challenge list ourselves and Bonnie put it into a graphics form. You are more than welcome to follow the list we used – I put it on PInterest at the beginning of the year and it’s been pinned many times, especially in the last week, so I think there may be quite a few bloggers using it. Nice to think that the photo challenge will continue with others! !